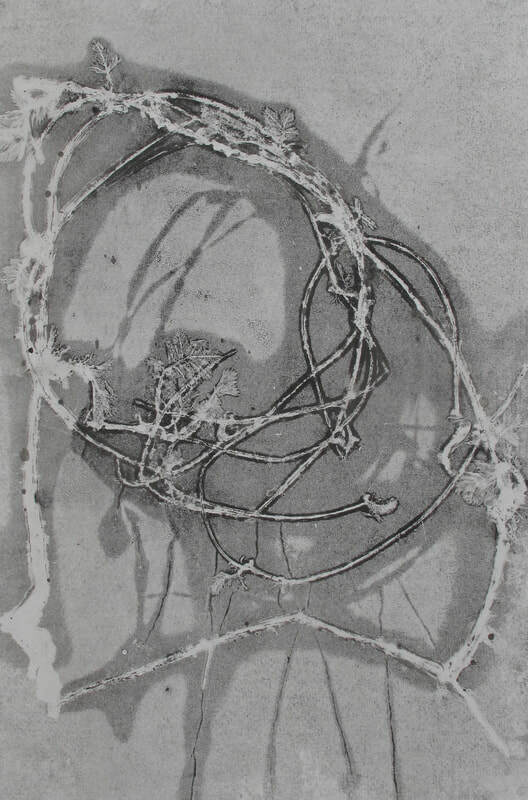 ​Mono printing from nature, Stef makes prints and artists books that create an edge from which the organic accident and intentional mark can be read. 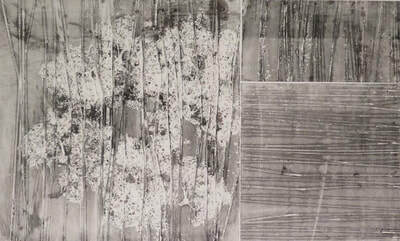 Working within the tradition of nature print she documents place and space. 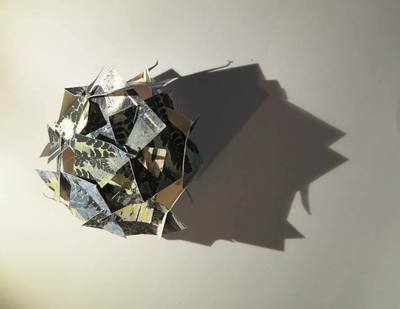 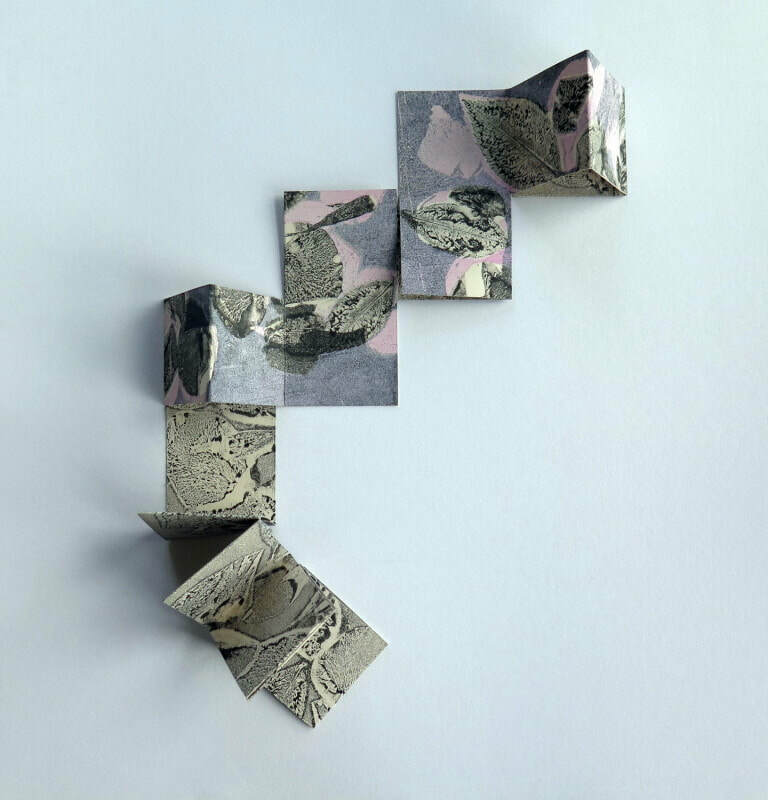 Her book practice focuses on the physical form of the book using cutting and folding to produce sculptural pieces that explore the book as an object creating tension between the read and unread. Small hand held books invite the reader to negotiate their own narrative through the book. After a degree in film, photography and sound Stef completed post graduate studies at Goldsmiths followed by a second degree in Fine Art. Stef has exhibited nationally and internationally. 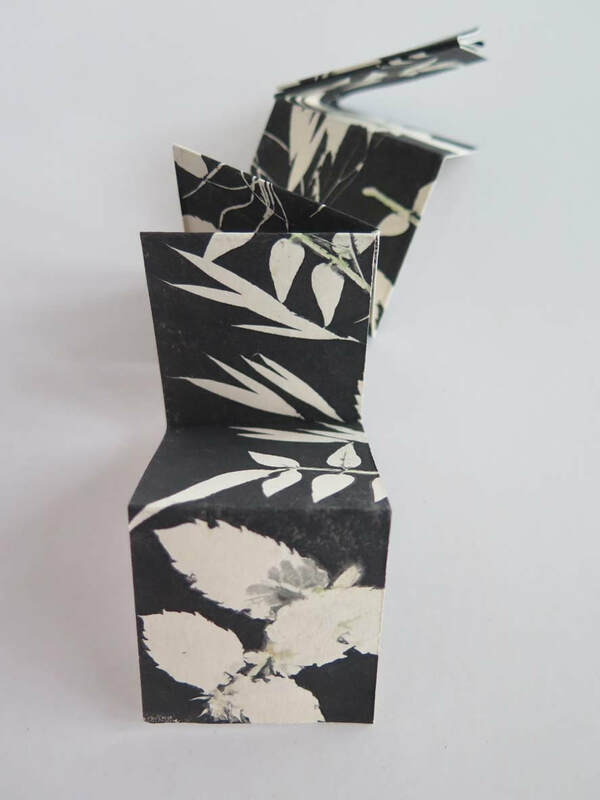 She has exhibited as feature printmaker at The Craft Centre and Design Gallery in Leeds and has had her work included in an international exhibition of Artists Books in the Liverpool Biennale in 2014 and 2016. 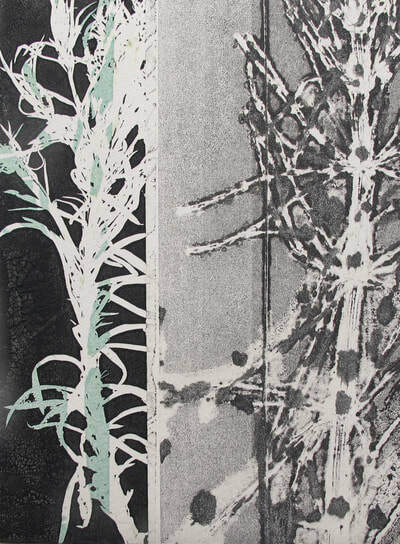 She was one of 10 UK based printmakers selected to take part in Connections North: Mirror Images an International Print Exhibition with simultaneous exhibitions in North Yorkshire, Cumbria, Scotland, Finland and Sweden in 2015. 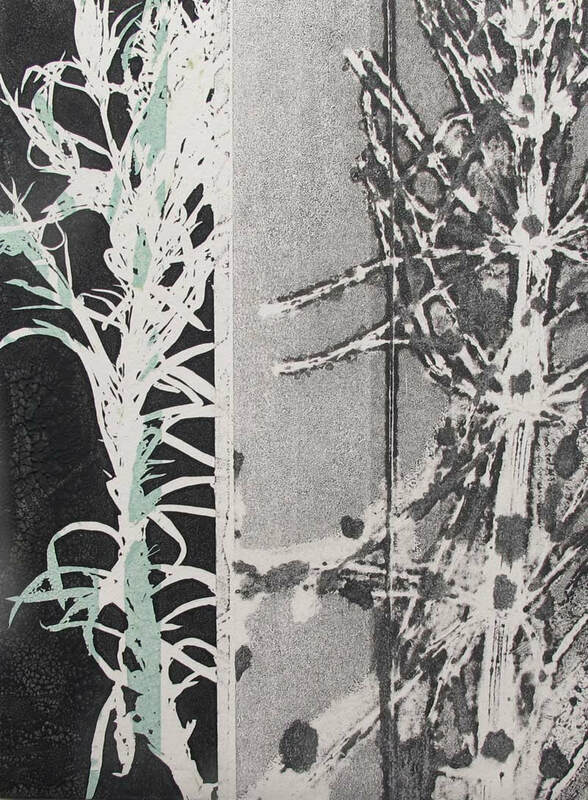 Her prints have been shortlisted for The Flourish Award for excellence in print making in 2014 and 2015 and her work is currently in the Newlights Prize Exhibition. Stef works from her studio in Staithes where she curates Staithes Studios Gallery.